I have followed Shikha (from dressnmakeup) on Instagram for over a year now and I adore her profile. 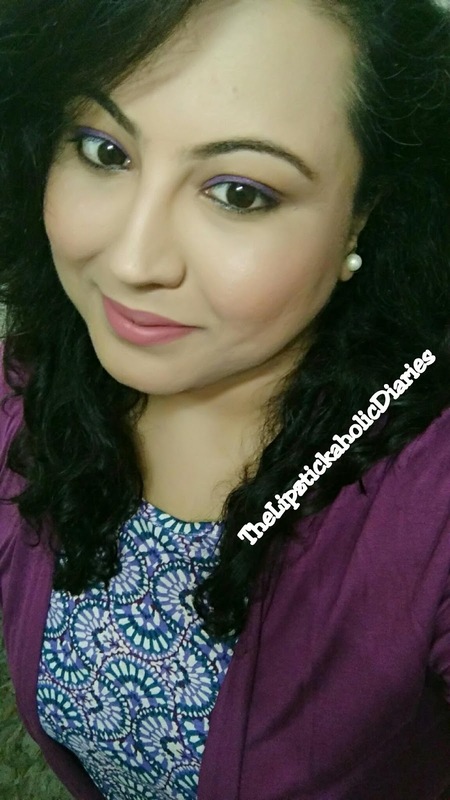 I won the Loreal Silkissime liner in Purple Punch in Shikha's giveaway and have been itching to use it in a makeup look. 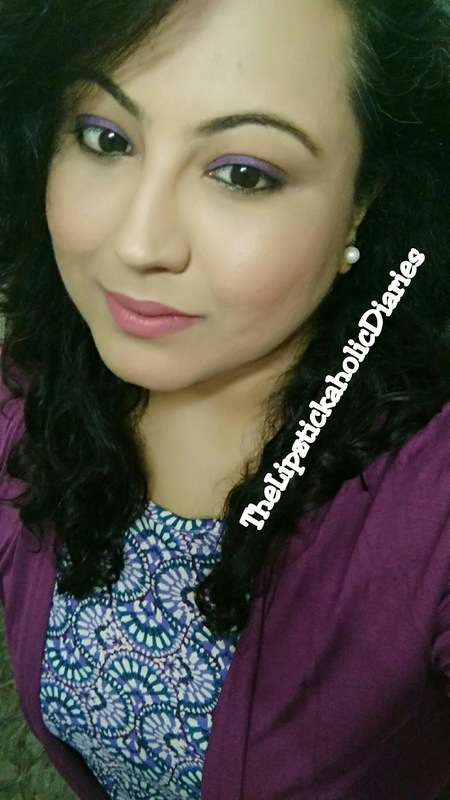 I created this makeup look some time ago for an evening out with friends. Step 1 - Apply your favourite eyeshadow primer. A primer will help your eye makeup stay for a longer time without creasing. Dust a flesh-toned eyeshadow shade all over the eyelids and all the way up to your eyebrows. This will set the primer and brighten the area for more colour. Step 2 - Apply the Purple liner on the upper lashline. Don't worry about being perfect like you would be with a liquid liner; just apply it right above the lashes. 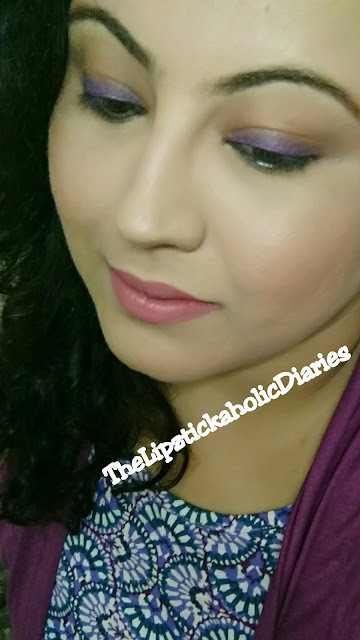 With a pencil brush / smudger brush, smudge the purple liner. Step 3 - Take a light brown eyeshadow and apply it over your crease area to deepen it. Let it blend in well with the purple that's below it. You can always reapply the purple later to make it stand out. Step 4 - (Optional) Line the lower lashline with kajal to add some definition to your eyes. I usually do this step when I'm using a bold colour on the eyelid. You can skip this if you like. There you go!! 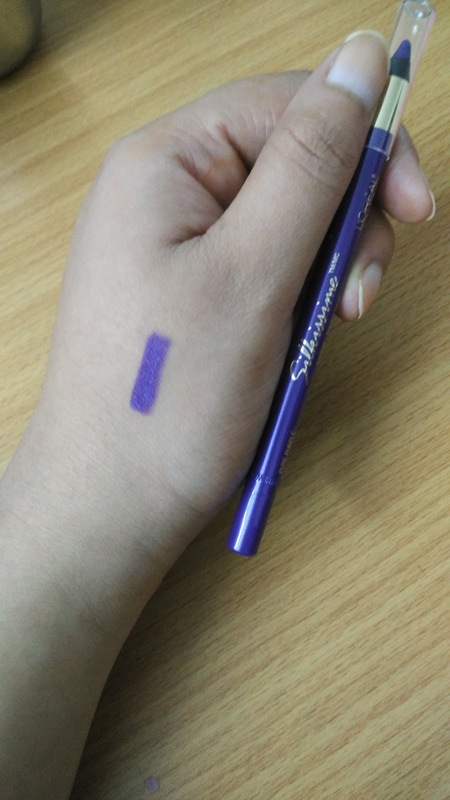 Your ''Purple Eye Look'' with the Loreal Silkissime Liner is ready..!! 1. Use the Loreal Silkissime Liner on upper or lower lashline. I skip kajal when I do this to make the liner colour stand out. 2. Use it for a sumdged-out look, like I've done in the above look. To define my eyes better, I like to use kajal when I do this. 3. Use the shade as an eye shadow all over your eyelid for a more dramatic evening look. Ooo you Pretty :) :* I have been wanting to try this range, still havenot! !